Right after enjoying our coconut jelly at Joez Coconut Jelly at Dato Keramat Road in George Town, bloggers Ken and Ann brought me to Kimberley Street for some desserts and street food. 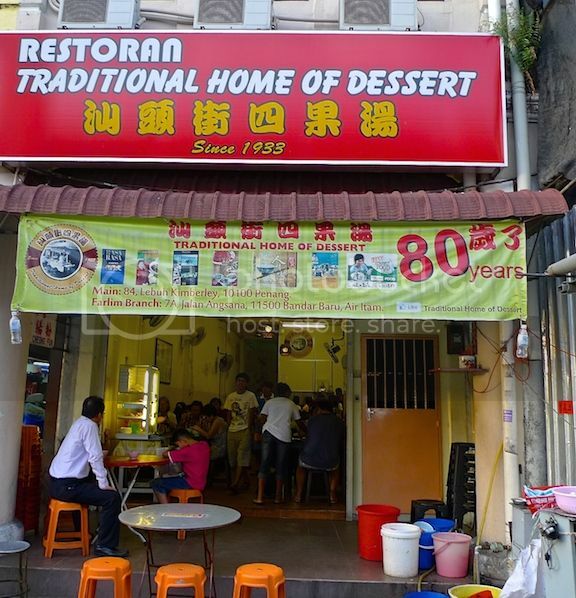 We stopped at Restoran Traditional Home Of Dessert for some desserts! I tried their almond soup dessert and it was, undeniably, one of the best almond soups that I have ever tasted! Thick, creamy and smooth, it was almost heavenly! Of course, not everyone likes this almond dessert, just like not everyone likes durians. Some people say the almond soup smells like cockroaches (really?!) - Just like I don't get it when people say durians smell like rotting meat. Haha! I also tried their famous si koh th'ng - not sure what you call it in English, but can be roughly translated as lotus seed longan dessert. 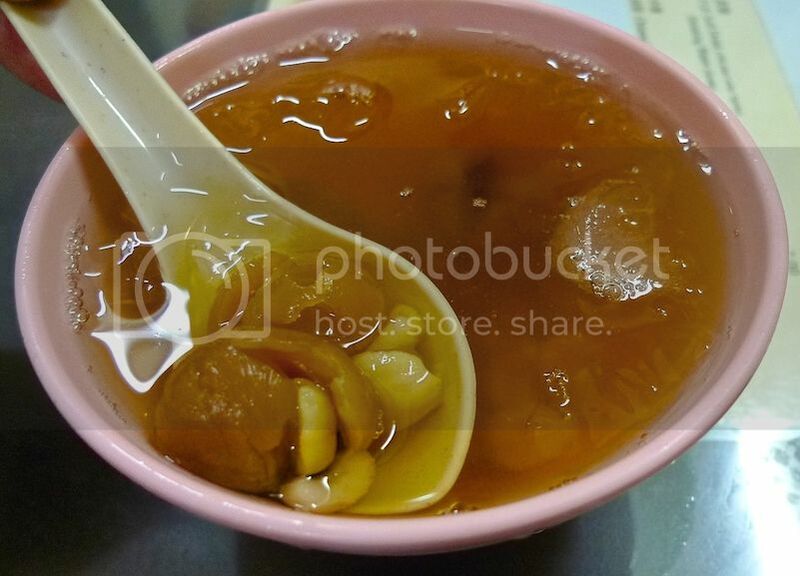 Besides lotus seeds and longan, there were other ingredients inside the dessert - the one I could identify was the gingko nuts. This dessert was delightfully yummy!! Highly recommended to try if you ever drop by Kimberley Street in Penang. This is the dessert stall where we bought the desserts from. It was located right outside the shop. Besides desserts, we also ordered other hawker food. 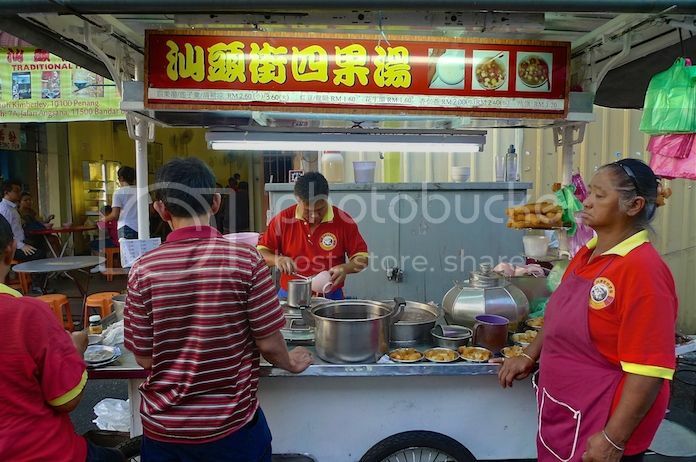 You can also call it street food if you like because they are really from stalls located along Kimberley Street near to the dessert shop. And surprisingly, you can eat those hawker food inside the dessert shop itself! I ate a bowl of koay teow th'ng. 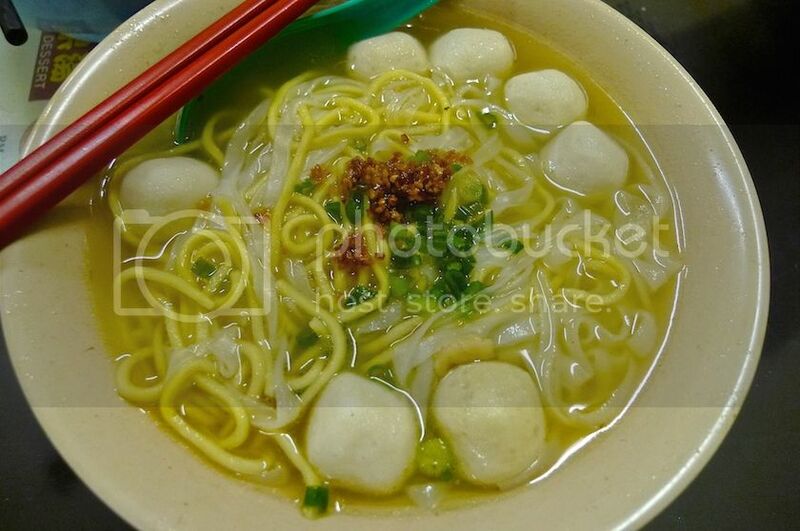 Flat rice noodles in clear broth with fish balls - that's basically what koay teow th'ng is. I don't mind eating this everyday! LOL. But I did not touch this - chicken's feet! Ken and Ann loved them, I think. 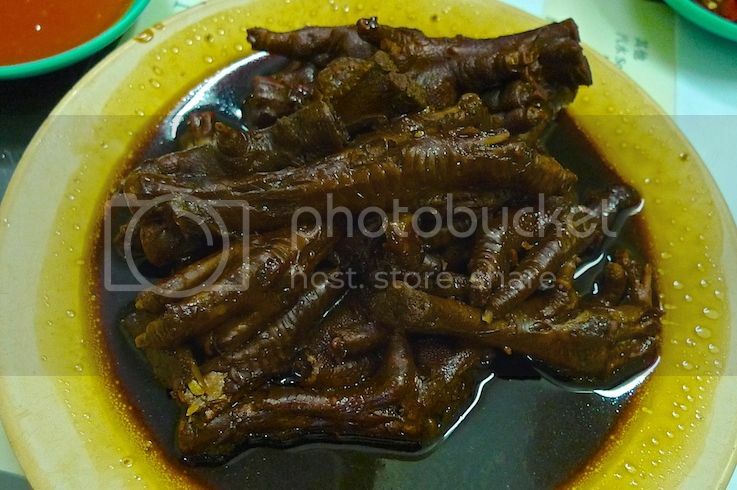 Maybe one day I will learn to like chicken's feet, but that time is not now. Haha! 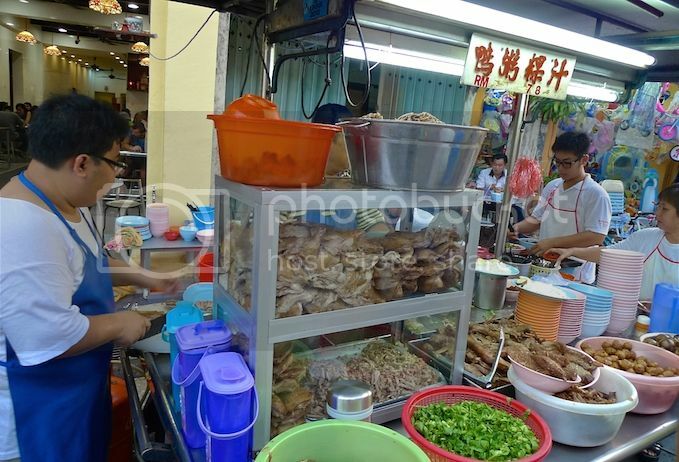 This is the stall along Kimberley Street that sells the koay teow th'ng and chicken's feet. 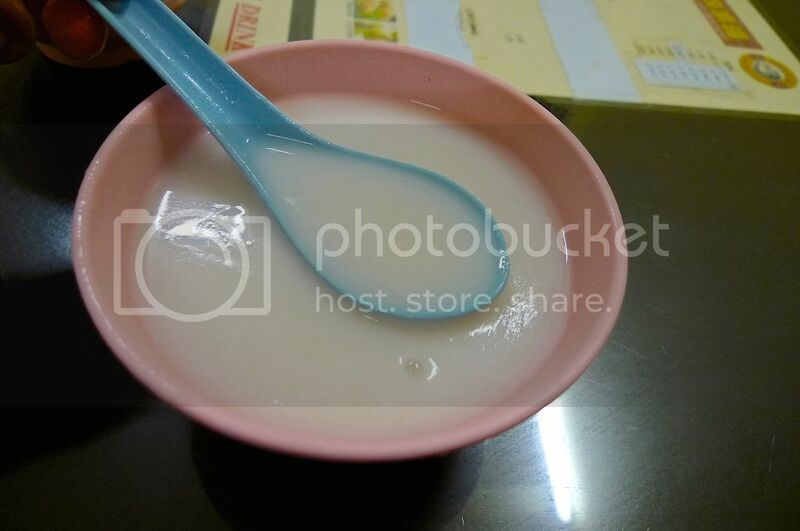 Lastly, I had this - koay chiap. 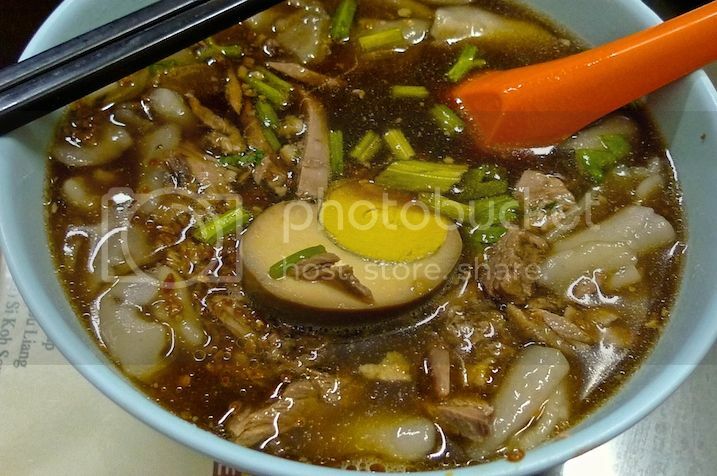 It is basically flat rice noodles in dark herbal broth with duck meat inside. I am not a particular fan of koay chiap so I cannot say if this one is good or otherwise. 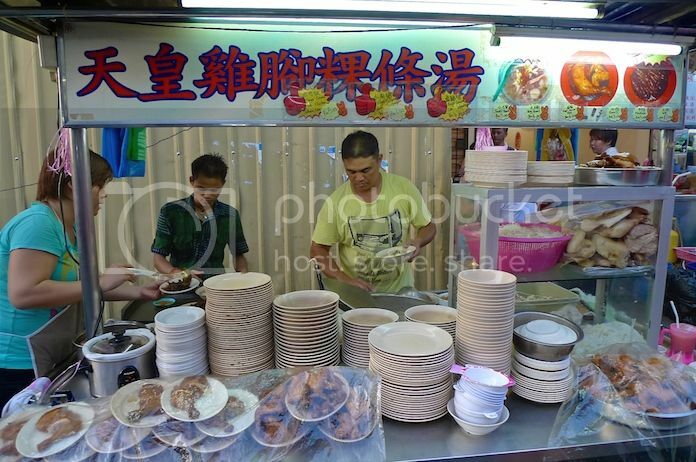 This is the stall which sells the koay chiap. Well, did you think I ate a lot in one sitting? I thought I did, but surprisingly, I did not feel so full that I could not walk. In fact, it was just nice for me. Perhaps traveling just brings out the gluttonous in me? LOL! So did I continue eating after this? What do you think? Find out in my next post coming up soon!